Most people will remember the high-profile case that was in the news in late 2011, involving a trial in Boston. Glenn Greenwald has called the case of Tarek Mehanna -- who is currently in prison in Terre Haute -- "one of the most egregious violations of the First Amendment’s guarantee of free speech seen in quite some time." So, this trial was not about my position on Muslims killing American civilians. It was about my position on Americans killing Muslim civilians, which is that Muslims should defend their lands from foreign invaders – Soviets, Americans, or Martians. This is what I believe. It’s what I’ve always believed, and what I will always believe. This is not terrorism, and it’s not extremism. It’s what the arrows on that seal above your head represent: defense of the homeland. So, I disagree with my lawyers when they say that you don’t have to agree with my beliefs – no. Anyone with commonsense and humanity has no choice but to agree with me. If someone breaks into your home to rob you and harm your family, logic dictates that you do whatever it takes to expel that invader from your home. You are encouraged to read Tarek Mehanna's entire statement to the court. The ACLU of Massachusetts made a statement in the case -- Mehanna Verdict Compromises First Amendment, Undermines National Security -- in which it stated, in part, "Under the government's theory of the case, ordinary people--including writers and journalists, academic researchers, translators, and even ordinary web surfers--could be prosecuted for researching or translating controversial and unpopular ideas. If the verdict is not overturned on appeal, the First Amendment will be seriously compromised." Tarek’s trial began on October 27th, 2011 and went on for 2 months. For weeks the government argued its case by calling government agent after government agent to read emails, instant messages, forum postings and documents, many of which Tarek did not write or that did not pertain to Tarek at all. It displayed countless videos and images, including dozens of Osama bin Laden and the NYC World Trade Centers, in an attempt to prove Tarek’s “state of mind” and intimidate the jury. 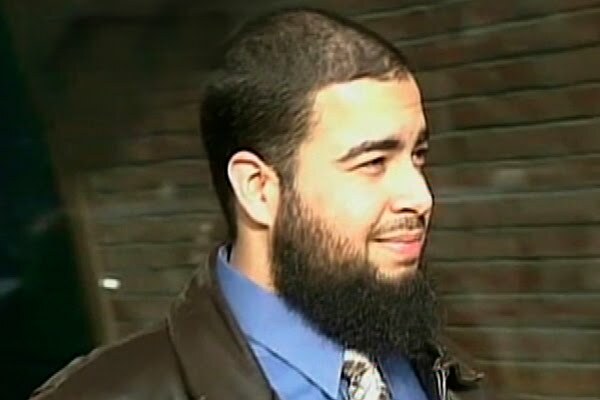 The defense argued firmly throughout the trial that Tarek had strong religious and political beliefs, such as the right of Muslims to defend themselves when being oppressed, and that he had a right to these beliefs. The defense argued on the grounds that all of Tarek’s activities were protected under the First Amendment. The government also claimed that a 2-week trip that Tarek took to Yemen in 2004 was for the purpose of seeking military training. The defense maintained that Tarek went to Yemen in search of schools to study pure, classical Arabic and Islamic law, two subjects that Yemen is world-renowned for, and that the government had not proven otherwise. For several years Tarek was victim to FBI surveillance and harassment. He was targeted for being a politically conscious, outspoken Muslim leader. The FBI began to approach Tarek in an effort to recruit him as an informant. The FBI recognized in Tarek an individual who is influential, beloved and trusted by many in the local Islamic community. Their objective was to put an end to Tarek’s influence, and to secure him as a tool to corroborate any FBI claims or accusations against members of the community that might arise, at the discretion of the FBI. A man of integrity, Tarek refused to be an informant against his Muslim brothers and sisters. The FBI then proceeded to approach Tarek repeatedly over the coming months, each time pressuring him more and more to collaborate with them. This pressure most often came in the form of threats; Tarek was told that unless he cooperated with the FBI, they would deprive him of a sense of security and make his life a “living hell”. He was told outright by interrogators that they knew he was innocent, but that they would not be satisfied with his refusal to cooperate and he would face criminal charges if he did not change his decision. More information on the case can be found on the website: Free Tarek: Nothing to Hide. The Farooque Ahmed Case: How Did This Happen?